Finally we have safe and environmentally friendly lamps we can trust in the scout cabins! 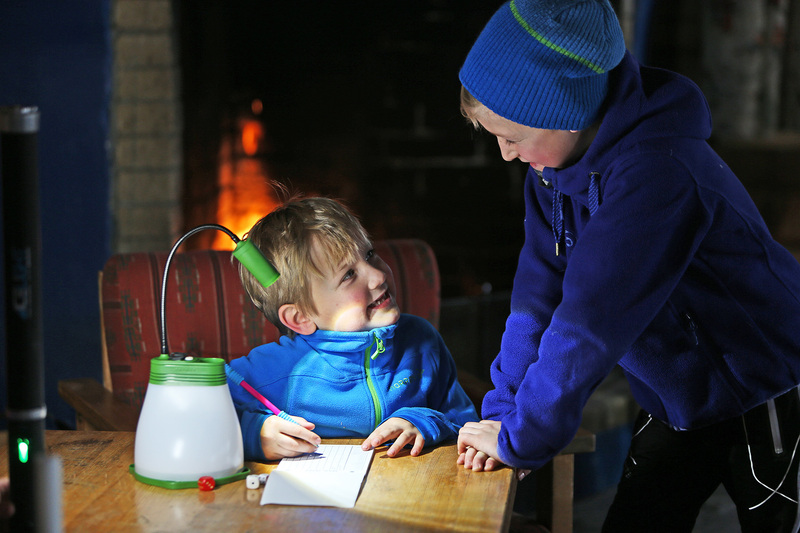 For many years kerosene lamps have been the only source of light in Høvik Verk Scout Group’s two cabins in the Krokskogen forest, Norway. Fortunately, it has always worked well, but they wanted a safer and more environmentally friendly alternative. They decided on the SunBell. 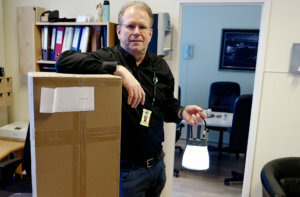 – The old kerosene lamps have worked, but we have been concerned about the fire risk, says Ina A. Toverud, Troop Leader Høvik Verk Scout Group. – The cabins are located a long way from the fire station, so if they catch fire everything will burn down. For the time being our scouts are too young to stay in them alone, but now that they are starting to become old enough to do so, it is good for everyone, including parents, to know that we have safe lamps in the cabins. I actually think the SunBell lamps are helping to make their parents feel comfortable about sending their children on trips alone, Ina says. – Apart from the peace of mind it gives, there is also an important environmental aspect. Showing children that we can use energy from the sun to light the cabins is important. The fact that one of the scouts was given a SunBell lamp for Christmas, confirms this. She was able to engage with the other children and tell them all about the benefits of the SunBell, which greatly contributed to the enthusiasm of all of us, Ina tells us. – The last time we left the cabins, we asked the children to find a clever way of hanging them up to charge in the windows. They took the challenge in their stride. They are good with rope and knots. We are betting that the lamps will be fully charged the next time we arrive, the Troop Leader Ina continues. – We have ten SunBell lamps in total: two in the bedroom and two in the kitchenette, while the rest are hung around the living room, in fact on the hooks used for the kerosene lamps. When someone needs to go outside, they will just take a lamp out with them. In the long run, we may want to consider upgrading to the new rechargeable lamps with BRIGHT Home as well. 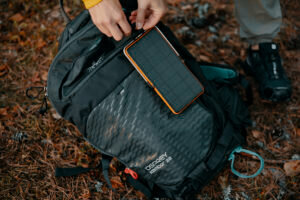 In addition to knowing that we have been given a safe solution, we are also delighted that the SunBell lamps are so much better than the old kerosene lamps. The fact that they do not stink is of course also a great advantage, says Ina A. Toverud, Troop Leader Høvik Verk Scout Group.